I have ₹10,000 and I want to get started with stocks trading investments. How can I get started for solid returns? The amount varied but the question remains the same which is they have an amount that they wish to invest and where they should invest for better returns. We all start with a small amount of money and want to be doing something meaningful out of it. The fund is so small that we cannot do a traditional investment like buying a property and fund is not very trivial to be ignored from our point of view. This is when the telecallers from stock broking companies allures towards stock market and especially trading. We see a very rosy picture and it seems like we can make a fortune with the money that we have been keeping in the bank account. So we decide to get a demat and trading account. Soon we find nothing is happening or even we start to lose our invested capital. Now the process to earn goes out of scope and we want to recover the capital back. The end result is we either quit investing in stocks or share market as a whole. You will often hear statements from telecallers like you can make 2 to 4% on intraday trading tips. For calculations sake, if anybody can make 0.5% per day, he can be the richest person on this planet in just 10 years. See the calculations in an answer on Quora. Forget about intraday tips, if anybody can double their money in a year, they will have 33,55,44,320,000 or 33 thousand crores after 25 years. Putting that number into stock market perspective, you can own 10% of Reliance Industries or 13% of Infosys or 18% of State Bank of India as on 16th July 2016. Expecting such magical returns is clearly out of the way and if anybody can provide you such tips take that as a joke. Yes there will be a period when you may double your money in a given year but then it will also need to be adjusted for losses and you may not be able to repeat those returns for an elongated period of time. On top of it, trying to make too much returns also means you will have to invest in very risky stocks where some of the companies can go bankrupt. So you may double some investments and half others. Ideally aim for returns in the range of 15 to 20% of capital invested. You will have years where you will make returns around 80% but it will also be followed by correction or non performance. Averaging in good and bad period in the market has always been in range of 15 to 20%. Just remember that markets will not reward you with returns just because you can put some money in it. To answer that question, I think one should understand what is the minimum amount needed for trading? I don’t think you should even think about trading unless you can risk atleast 1L. It is the bare minimum. 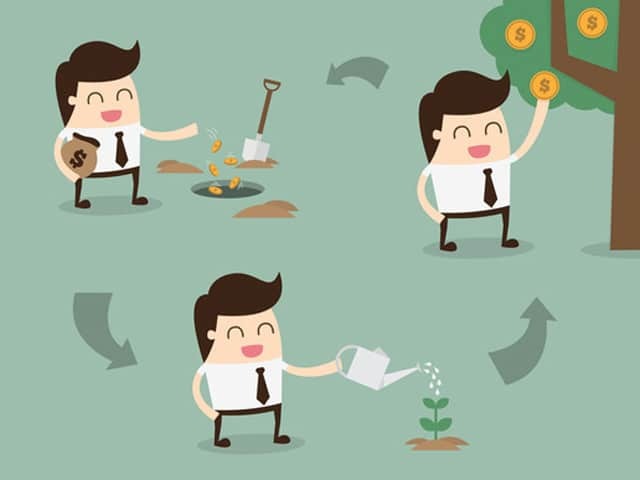 Trading unlike investment is not passive and you have to be slightly active. I don’t mean you have to sit in front of the screen all the time from 9AM to 3:30PM but then you have to dedicate at least an hour or so to study chart patterns and trade setups and then execute them. You may assume it can all be done over a phone, but how do you know when to call your broker to execute them? If you are doing a job or some other business, your mind will always be in the stock market. Even if you don’t need to be in the stock market, you may be tempted to check if your orders are executed or not. If you have placed a buy order, if that is executed or not. If you have placed a sell order, how much profit you made or hit a stop loss. It needs your time but more importantly it will need your attention. So the returns from the market should compensate for the time you dedicate towards it. Let’s say you double your money in 2 years which is quite tough for newbie traders but just for argument sake. 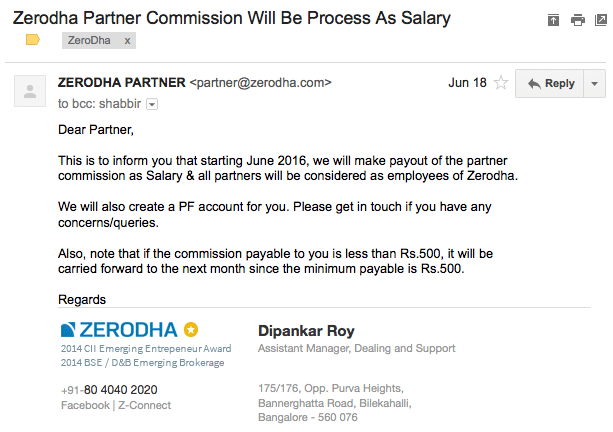 On ₹10,000, you made ₹5,000 per year or roughly ₹400 per month. Should you focus your time and energy in making ₹400 per month? Again ₹400 per month is absolute returns but relative returns will be much lower. If you invest in mutual funds and consider the average return to be 15%, you will make ₹135 per month anyways. So in trading in makes you an additional of ₹265 per month. Can you dedicate 1 hour per day for ₹265 per month? Start investing early in a better performing mutual fund and try to build a corpus of money by topping up your investment over a period of time. Once you have a decent amount that you can risk, opt for trading.